Take up the Walktober challenge, and from start to finish, the whole month of October will inject more than changes in your life. It's a great way to get the kids moving during the school holidays and to rediscover how much fun it is, being active as a family. As the saying goes, 'a family that plays together, stays together'. 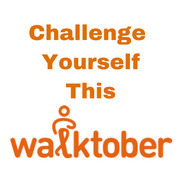 CLICK HERE to register for the Walktober challenge. Ask family and friends to support your challenge, as all money raised will be used to get more kids moving through the Bluearth Active Leaders Program. Leaders are created through school communities and advocate physical activities for their school and local communities. With more than 1700 Active Leaders created at schools across Australia, the focus is on implementing the program into schools in socially disadvantaged areas, where physical activity levels need encouragement. All money raised through the Challenge will be directed into resources to expand the program into more school communities in 2017 and beyond. Participants in the Challenge who raise the most money will receive vouchers from RHSports to buy new sports equipment. Get all details off the website as there are prizes for the school whose students raise the most money; the student from the school that raises the most money; the family team; and the individual who raises the most money. Plus there are prizes for posting the funniest exercise photos and videos on Facebook and Instagram. Not only will you be helping others, you'll be helping yourself with clear benefits towards your physical health. 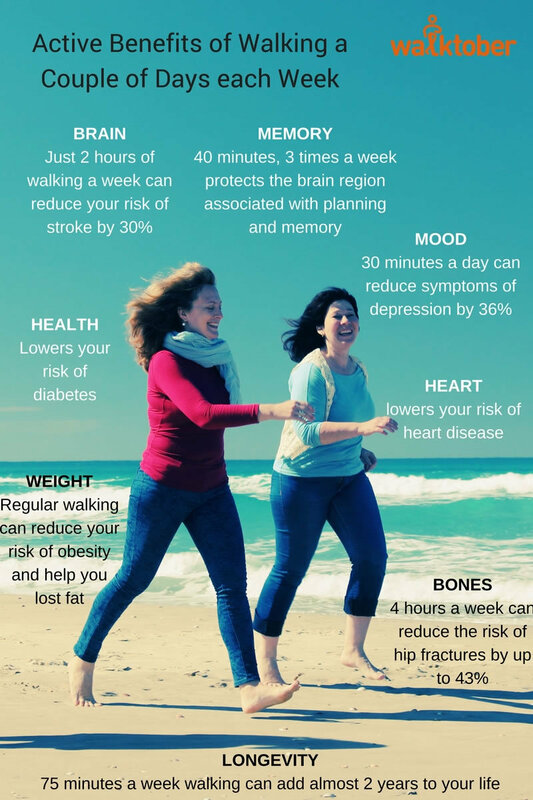 Walktober is all about having fun through exercise. This year, you're challenged, be it as an individual, a family or a whole group who decide to do the challenge together; to add an extra 31 minutes of movement to your day for the 31 days in October. Walk, run, ride, swim, bounce on the trampoline, cartwheel; complete the challenge whichever way, you may. You just need to make it enjoyable for you. You don't even have to do the 31 minutes in a single block. Spread it through the day; but take this opportunity of a challenge, to actually get down to it. With only 19% of Australian kids aged 5-17 meeting the national daily physical activity guidelines of at least 60 mins of physical activity every day of the week, not to mention only 29% meeting the sedentary behaviour screen time guidelines of no more than 2 hours of screen time each day, we need to get in shape as a nation, and it's not just the kids we're talking about. Parents (with kids aged between 8-13) need to up the 22-25% average of meeting physical activity guidelines of at least 30 minutes of exercise, at least 5 days a week. Perhaps taking on a challenge to help others, will help us stay on track for the month of October, and encourage us to keep going; for the results of a dedicated commitment to the cause is bound to be awesome.